Choose Wisely When Ordering Pre-operative Laboratory Tests. Our journey began with the simple idea of making prudent choices to try and reduced the enormous waste that pervades healthcare in general. As a family doctor-anesthetists I could identify with 2 sides of the same coin, in terms of routine pre-operative testing. The paper based system was ineffective and the multitude of unnecessary tests was obvious, but how could one person initiate change for the better. Leveraging technology, appeared to be the ideal solution, however, my lack of computer expertise coupled with the lack of support from healthcare were significant barriers. 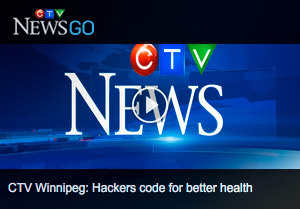 I chanced upon an invite to a Hacking Health Hackathon and the rest is history. 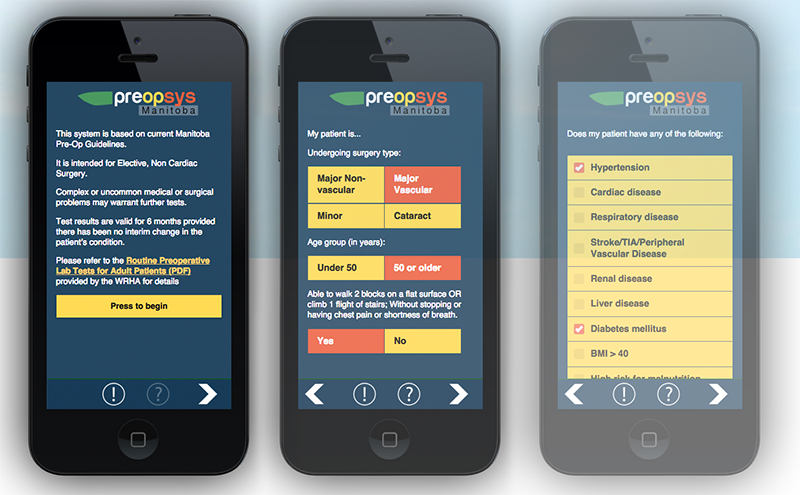 I teamed up with Keegan Walker and Clayton Wilchowy and through our collaboration during the 48 hour Hacking Health weekend, developed the embryonic version of Preopsys. Our efforts won the main prize (for the most commercially viable product). 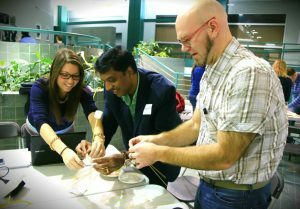 Over the next few months we worked with purpose and diligence to complete the beta version and test run it with a group of family doctors from Winkler and Morden. They were excited, without exception, by the speed, accuracy and simplicity of design. It also caught the eye of Choosing Wisely Canada and Manitoba e-Health with whom weare now working collaboratively. 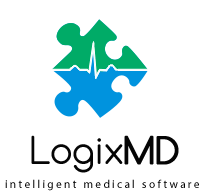 To formalize our arrangements, we created a company, LogixMD, and developed a website to promote ourselves. As for money, we have none as yet! Nonetheless, we are proud to provide value for the people of Manitoba. The Hacking Health experience allowed a powerless individual physician to work collaboratively with colleagues from the computer and graphic design worlds and create a powerful solution for an important healthcare problem. We are hopeful that Manitoba will soon, officially adopt our app. Our long term ambition is to try and get the rest of Canada to embrace this as an opportunity to develop a National Guideline for pre-operative testing; so that all provinces may benefit from what is clearly a huge cost saving technology.